When I first married into a Tuscan family, I was stunned at the sheer number of butcher shops that stood under the elegant porticos in Greve-in-Chianti’s gracious piazza. This tiny town in the middle of the Chianti Classico wine country has a score of butchers, many more than I would have thought could possibly earn a livelihood from the miniscule population. Americans may be known for consuming large quantities of beef, but Tuscans are the masters of preparing it. Visitors can savor very expensive cuts, such as the lean but well-marbled t-bone steak, simply grilled, dressed with nothing more than a drizzle of olive oil, a sprig of rosemary and salt. Tripe, a thrifty cut of offal, is only slightly more complicated to prepare. It is boiled, lightly sauced and stuffed into a fresh roll at Florence’s many open-air tripe stands. The flavors are uncomplicated, the preparations simple. The quality of the primary ingredients is so high that very little else is needed to enhance the innate flavors. When I acquired a Tuscan husband, little did I know that a butcher was part of the deal. Local folk are fiercely loyal to their personal butcher. For years, my in-laws purchased every gram of meat that graced their table from Gabriella, the sole female butcher in Greve. It was expected that I too would buy all of my meat from her. I did this happily, as the quality was excellent, plus it was fun to watch her in action. She chattered on, privy to all the town gossip, laughing loudly as she swung her cleaver. But now, I can only hear her cackle from afar. Why? One day my father-in-law placed an order with Gabriella for a kilo of chicken breast. When he returned home with the alleged chicken, my mother-in-law unwrapped the goods and told her husband that this was turkey breast. Infuriated, as they had paid the higher chicken price, my father-in-law claimed that Gabriella was trying to cheat them. A battle ensued, and my in-laws swore never to eat a morsel of Gabriella’s meat again. This meant that I too needed to find another butcher. Family loyalty runs deeper than taste buds in Tuscany, so although I meekly challenged initially, it was no use. Gabriella was no longer the same jovial shopkeeper when I entered her domain. War had been declared, and I was a soldier in this army, like it or not. This presented me with some benefits. I was now free, in fact forced, to explore the uncharted territory of the other butcher shops in town, including one I was especially partial to, the grand-scale, super-market-style Falorni. Falorni, with its free samples of air-dried bresaola, pancetta, prosciutto, all prettily vacuumed packed. Falorni, with its busloads of German tourists and its stuffed boar regally positioned outside, was now my playground. I was inside, and I had hit the jackpot. Liberated from the law of inheritance that had bound me to Gabriella, I could now venture to Panzano-in-Chianti, the even tinier next town over. 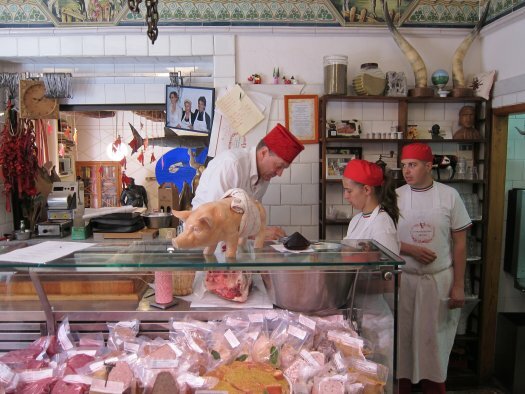 Panzano is the home to Dario Checchini’s butcher shop, Antica Maccelleria Checchini. 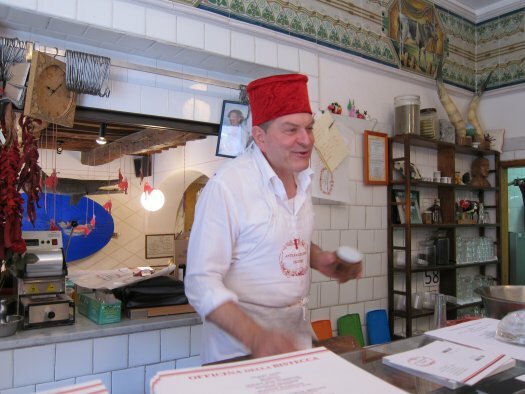 Dario is the self-proclaimed best butcher in Italy and the darling of the New York food glitterati. Big names like Mario Batali, Joe Bastianich and Bill Buford all make pilgrimages here to learn from Dario. Dario speaks a few words of many languages, and if he hears you speaking English, don’t be surprised if he bursts out with “To beef or not to beef, that is the question”, with full theatrical flair. A festive atmosphere prevails in his shop, with Dario the clear star of the show. Samples are plentiful, and there is even wine, adding to the convivial feeling. Besides his butcher shop, Dario owns two eateries in Panzano, both steps from his butcher shop, and meat is the star of both of them. This allows visitors the opportunity to judge for themselves just how good Dario’s beef is. 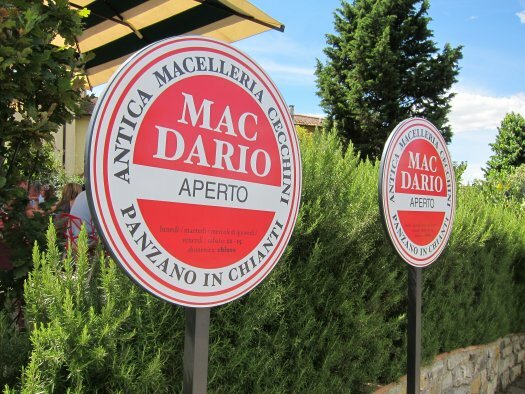 Mac Dario is his take on the iconic American fast-food burger. There are only 2 set menus available, so there is not a lot of choice. The standard menu costs a very reasonable 10 Euros. You get a half-pound burger, a side of garlic and rosemary roasted potatoes, fresh veggies, crusty, salt-free Tuscan bread, an assortment of house-made mustards and ketchup and bottled water. 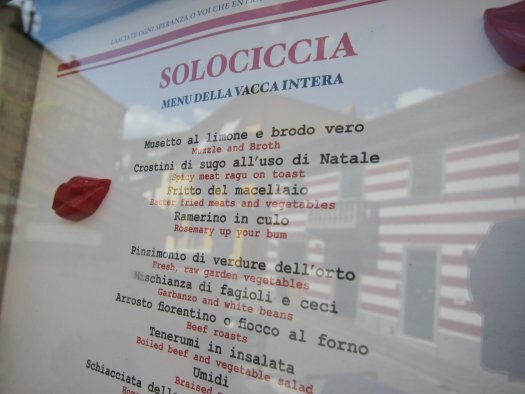 If you crave variety, there is a second menu costing 20 Euros that includes copious portions of several roasted meats including Chianti sushi, which is steak tartare, and several beef and pork preparations. You can bring your own wine for no corkage fee, or have a glass of Dario’s own very drinkable red for only 2 Euros. You eat at long communal tables, outside on the shady terrace in summer, with Dario sometimes reciting Dante as you dine, adding a thoroughly entertaining edge to your meal. If you can manage to save room for something sweet, the only dessert offering is a simple cake made with olive oil, served with strong coffee for 2 Euros. Mac Dario is open only at lunch, from noon to 3, closed on Sundays. Several times per week the casual space is transformed into Officina della Bistecca, which translates into Office of Steak. 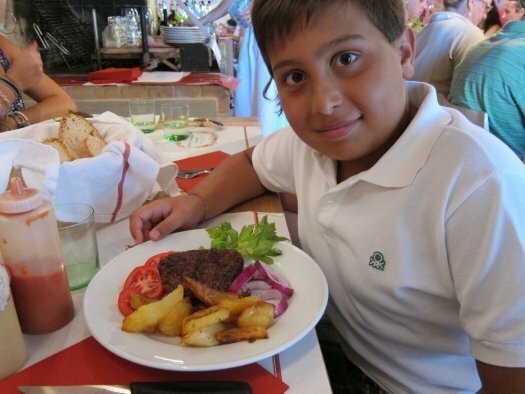 For 50 Euros, those with a large appetite will be dared to consume copious quantities of the most famous cuts of beef in the region, including the famed t-bone, bistecca alla fiorentina from the prized Chianina breed of cattle. Dinner is served on Tuesday, Friday and Saturday at 8 p.m., Sunday at 1 p.m. Fresh veggies, bread, wine, mineral water, coffee, olive oil cake and Dario’s home-produced grappa compliment the meat, all included in the price. 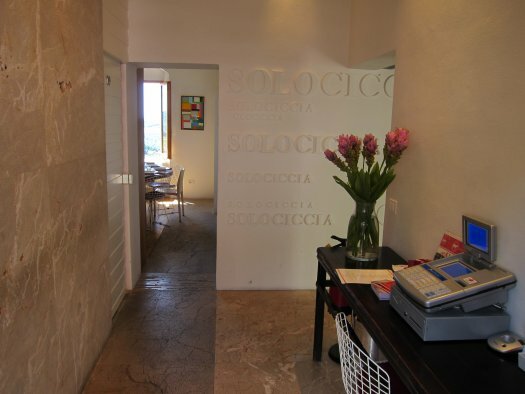 Dario’s other restaurant is Solo Ciccia, which features a 6-course grass-fed beef menu for 30 Euros. No steak is served, rather a variety of unusual cuts of braised, roasted and boiled beef, accompanied by vegetables and olive oil-coated white beans. This nose-to-tail feast includes wine, water, grappa, coffee and cake. 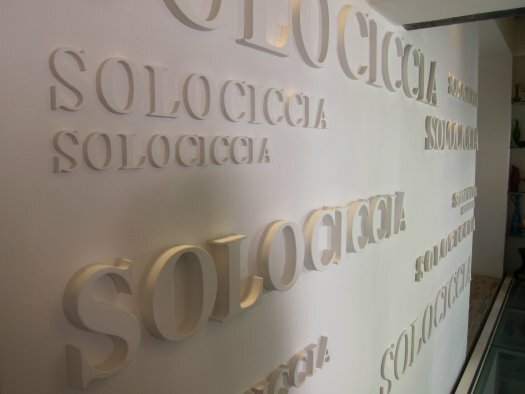 Solo Ciccia serves dinner only on Thursday, Friday and Saturday at 7 and 9 p.m. You will be surrounded by serious foodies from around the globe. The communal seating encourages polyglot-like conversation, so don’t be surprised if you are seated between a Swiss banker and a Renaissance art historian from Shanghai. 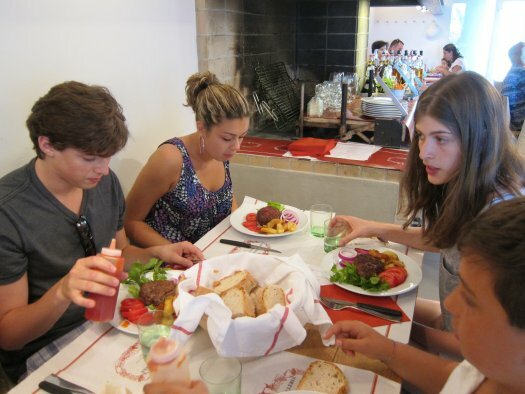 Dario’s eateries have become destinations in themselves. They are an easy day trip from Florence, as you can get here in under an hour. Renting a car gives you obvious freedom to explore the area. Both Greve and Panzano are classic unspoiled Tuscan hill towns, located on the Chiantigiana (also called SR222), a winding, 2-lane road takes you from Florence to Siena, carving through the heart of the famed Chianti Classico region. The efficient SITA bus will get you to Panzano and Greve in under an hour from the Florence bus depot, located across the street from the Santa Maria Novella train station. 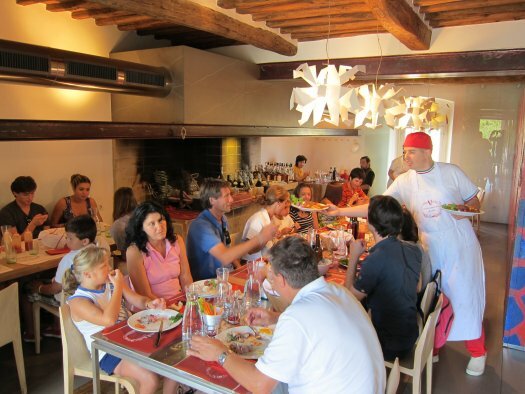 Lots of visitors allot a day or two in the area, allowing ample time to sample and digest the variety of morsels that Dario serves. If you choose to spend the night, you have a wide range of overnight accommodations. 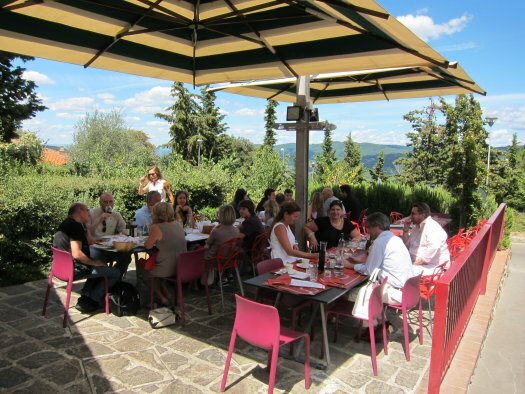 In Panzano, Villa Le Barone is a serene place to rest between meals. The refurbished Villa has been in the same aristocratic family since the 16th Century, but there are modern conveniences like in-room Wi-Fi. The rose garden is enchanting, as are the beautifully landscaped pool and tennis court. Greve has interesting options too. The breathtaking Vignamaggio is located on the road to Lamole, a few miles out of town. It is where the Mona Lisa was painted, and movie buffs might recognize it as the setting of Kenneth Branagh’s Much Ado About Nothing. For a more wallet-friendly accommodation, Giovanni da Verrazano is located in Greve’s piazza, offering basic but charming rooms for a decent price. If you’re sensitive to the noise of the Piazza’s bustle, ask for a room facing the back. Allison Tibaldi is a native New Yorker, who has lived in Rome, Tuscany, Melbourne, Toronto and Los Angeles. She is a senior travel and food writer for offMetro.com and a frequent contributor to Family Travel Forum, using her own children as guinea pigs as they travel the globe. She is fluent in Italian and Spanish and laughably adequate in French. Her background as an Early Childhood Educator gives her an added understanding of what it takes to travel with kids in tow. She never misses a chance to sample local delicacies, as her love for travel goes hand-in-hand with her love for food and wine. Follow her on twitter at @Gourmetrav.